Directed by Jono Oliver. USA. 2013. 112 mins. The directorial debut by Jono Oliver explores one man’s journey to independence. 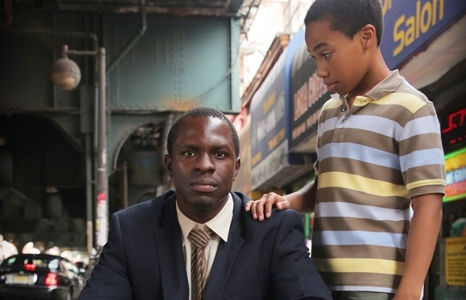 Jack Hall (Gbenga Akinnagbe, The Wire) has suffered from mental illness for more than 12 years. After countless arrests and hospitalizations, he’s at a point where he has a steady job and is ready to move from a group home to an apartment of his own. His dream is to reconnect with his estranged son, but what would be a simple goal for most is not so easy for Jack. Featuring a beautiful and uplifting score by Oscar-nominated multi-instrumentalist Gingger Shankar (The Passion of the Christ, Recycle, Circumstance), Home deals with themes that touch us all. It is a story about love, redemption and the bond between a father and his son. Official Selection: American Black Film Festival; Langston Hughes African American Film Festival; Martha’s Vineyard African American Film Festival; International Black Film Festival of Nashville. Winner: Best Feature, San Francisco Black Film Festival.